Most of your email subscribers are not opening your newsletters. 30%, 50%, 70%, even as high as 90% of your subscribers are not reading your newsletters. Before we get into the Facebook marketing and cross channel solution. Let’s understand why email open rates are declining. More brands are aware of the power of email subscriptions, and hence – incentivizing users to subscribe to their newsletter. Therefore, there is higher competition for email visibility. More emails get into the ‘Promotions’ tab and get somewhat less exposure in the clutter. Overall – the ‘Promotions’ tab is getting more crowded with a larger number of competing offers. Every brand is receiving, on average, less visibility to recipients. You probably invest quite a lot in your email marketing. Even though you are putting an effort into your regular newsletter promotions, subscribers are not seeing these offers and curated content. Therefore, your brand perception is gradually declining and becoming less in your customers’ top-of-mind. Consequently those customers will be less likely to choose your brand as their ‘go to place’ for shopping. So, what should you do about it? In this increasingly competitive environment, how can you capture your customers’ attention again? Answer: Re-engage those customers in another non-email channel – such as Facebook. By using Facebook marketing and Custom Audience, you can re-engage with those specific users who do not open your newsletters regularly. This is a very effective cross channel strategy if you implement it correctly. Segment your subscriber list to ‘openers’ and ‘non-openers’. ‘Openers’ are subscribers who regularly open your emails, at least once a month, or once a week, depending on how frequently you send newsletters. ‘Non openers’ are those that haven’t opened your emails for a month or more. ‘Dormant’ subscribers, who haven’t opened your emails for more than 4 months. ‘At Risk’ subscribers, who last opened one of your emails a couple of months ago. ‘Drifting’ subscribers, who haven’t opened an email for a few weeks. ‘Loyal’ subscribers, who are regularly opening your emails at least once a week. Per each of these segments – create micro segmentation according to their expected life time value. In other words, for each segment, categorize your audience according to how cold or warm they are – this audience should be divided again according to their expected ‘worth’ (or life time value) to your store. To calculate this ‘expected worth’, take into account several attributes such as their previous overall spend, how much time has passed since their last engagement, their engagement frequency, and average order value. Prioritize your Facebook budget – start with the ‘non-openers’ who are relatively warm and have the highest expected life time value, and target only this segment with Facebook Custom Audience first. You should serve this micro segment the recommended products that they are most likely to engage with. Spend your Facebook budget gradually. Begin with the warmest, highest expected lifetime value segment and continue all the way to the coldest, lowest expected lifetime value segment, while testing the ROI of your Facebook Custom Audience campaign. When calculating your Facebook campaigns ROI, take into account other channels those customers interact with. For instance, if a customer has clicked on (or viewed) your Facebook Custom Audience campaign, she may not purchase right away, but she may be back into engaging with your brand via newsletter or directly with your site. This level of re-engagement may be enough to consider the Facebook campaign a success, or ROI positive, for that user at that point in time – the campaign has successfully converted the disengaged customer back into engagement. This way, you can actually increase the effective ROI of Facebook campaigns, because you consider engaged users via other channels as users who may not require additional spending in Facebook. 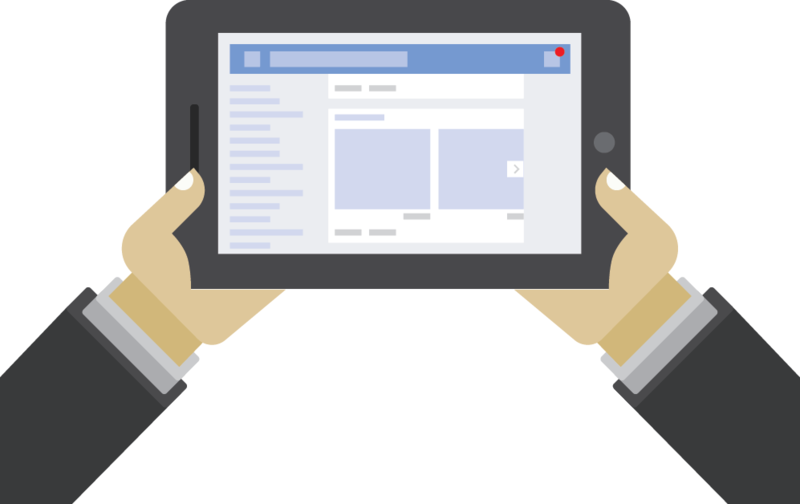 Taking this broader view means you can allocate your Facebook budget more effectively to other relevant segments who require additional exposure. Keep testing whether users who became engaged continue to be engaged, or require additional cross channel promotion. Your ultimate goal is to optimize revenues, or customer life time value. For maximum results, you should run this exercise on a daily basis and treat each user separately according to their engagement level and funnel. In summary, email open rates are declining. But there is a lot you can do to converse with your shoppers in a relevant way via Facebook. Have you tried implementing cross channel marketing for email engagement?